Please complete all the required fields in the form below. By submitting your details, you are confirming that you agree with our privacy statement. This test consists of a brief questionnaire with different auditory scenarios. We recommend that you test in a quiet environment, preferable using your headphones instead of the built-in speakers. This online hearing test is not a diagnostic hearing evaluation. You should always seek out a hearing care professional if you have a hearing loss. 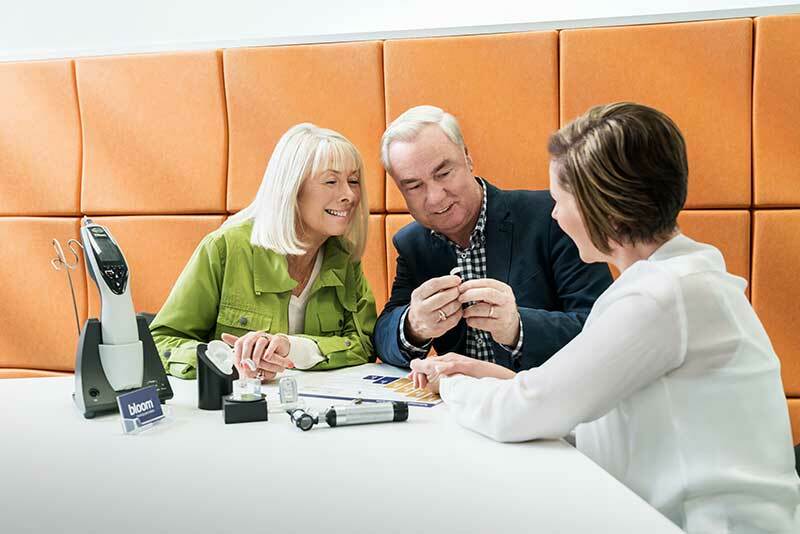 The purpose of the test is to help you determine whether you could benefit form a comprehensive test and evaluation of your hearing, supplied by your local hearing specialist. You answer by clicking yes or no with your mouse/touch or by pressing the arrow-buttons on your keyboard. Do you sometimes find it challenging to have a conversation in quiet surroundings? Do you find it difficult to understand speech on TV and radio? Do you find it difficult to follow conversations at dinner parties? Do you often have to ask people to repeat themselves? Do you find it hard to have a conversation on the phone? When you are ready press next. This part of the test determines how well you can hear high-pitched tones. Click on the buttons or use the arrows on your keyboard. When you are ready click next. Click on the buttons. When you are ready click next. In the following you will hear three numbers with a background noise, which increases as you go along. Type in the numbers you hear. You can use your mouse or tap the number keys on your keyboard. When ready click next. You can use your mouse or tap the number keys. When ready click next. Which three numbers did you hear? Choose or type in the combination of numbers you just heard. Thank you for completing the test. Please note that this is not a clinical hearing test. We strongly suggest that you visit a hearing specialist if you suspect that you have a hearing loss. You've completed the hearing test.